At this point, it's a definite trend. 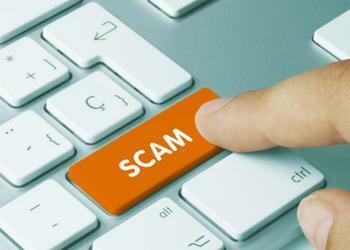 Internet merchandise fraud was once again the top scam reported to the National Consumer League's (NCL) Fraud.org site last year, the fourth year in a row that's happened. You probably know what they're talking about. You may have seen the ads for an iPhone 7 for $69 or other too-good-to-be-true offers. They pop up on websites lile Craigslist, but also on social media and even in internet forums. And the problem seems to be getting worse. NCL reports the amount of money consumers lost to these scams last year rose significantly. In reported complaints, the median financial loss was $600, double the amount in 2015. The most costly internet scam, by far, was the romance scam. That's where a scammer meets a victim on a dating site and slowly builds a relationship before asking for money. The median loss in romance scams last year topped $2,000. The internet has always been the "wild west," but John Breyault, vice president, public policy, telecommunications and fraud at the National Consumers League, says consumers have to be extra careful these days. Breyault says consumers should not fixate on a bargain basement price because it isn't real. And if you are asked to pay in some odd way, like a wire transfer, that's a dead giveaway that you're being played. Since so many consumers are now wise to the wire transfer gambit, and wire transfer services now aggressively watch for suspicious activity, Breyault says more scammers are turning to gift cards for payment. It works the same way a wire transfer does, but it's even odder. After all, how many legitimate businesses do you know that want to be paid with a gift card? But consumers fall for it. In 2016, Fraud.org reported a 30% increase in complaints where the payment method included gift cards. In these scams, a victim is told to put a certain amount of money on a gift or money card, then send the PIN and code to the scammer. That should be a huge tip-off that you're dealing with a scammer, but too many people fall for it. You might say they're gullible, but more likely they are thinking too much about the huge savings they think they're getting and willingly suspend a healthy sense of disbelief all consumers shopping on the internet should have.